is the versatile Valsetz, a traditional bûche that can be enjoyed while young and firm or ripened and creamy. 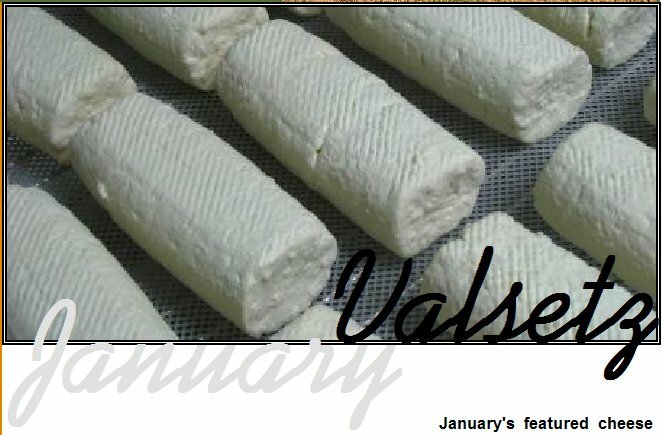 We enjoy Valsetz plain, with rice crackers or wholegrain bread, but the mild flavor lends itself to a number of uses, including this traditional French winter salad - Valsetz slices into rounds that are the perfect size for topping sections of toasted baguette, and the tangy edible rind complements the sweetness of the ripe pears. Whisk the olive oil and vinegar together in a large bowl with a generous pinch each of salt and pepper, and toss with the greens. Top each baguette slice with a piece of cheese and broil until warm and melting. Arrange salad greens, sliced pears, and two goat-cheese-topped baguette slices on each of four plates. Serves 4.